Transport Canada says whatever fell on the cars and property of 18 people in southern B.C over the last month didn’t come from airplanes. Those who have had far-too-personal experiences with the foul-smelling substance consistently beg to differ and new reports are coming in that feces are falling from the sky. “I know what happened to us and I’m not going to give up until somebody does something,” said Susan Allan, who had to get medical treatment for infections in her eyes caused by the material that poured through her sun roof in early May. She said there was nothing in the sky except an airplane on final for the Kelowna Airport. “It was a beautiful day, it was pure blue sky and if I had looked up and seen a flock of birds it would have been a different story. All that was there was an airplane,” she told the Globe and Mail. She intends to keep pressing the matter with Transport Canada. In a statement earlier this week, TC said it’s reviewed radar tapes, spoken to operators and owners and concluded the stuff couldn’t have come from an airplane. “The department’s review has concluded that these incidents do not meet the description of blue ice and are therefore not aviation related,” TC said in a statement. 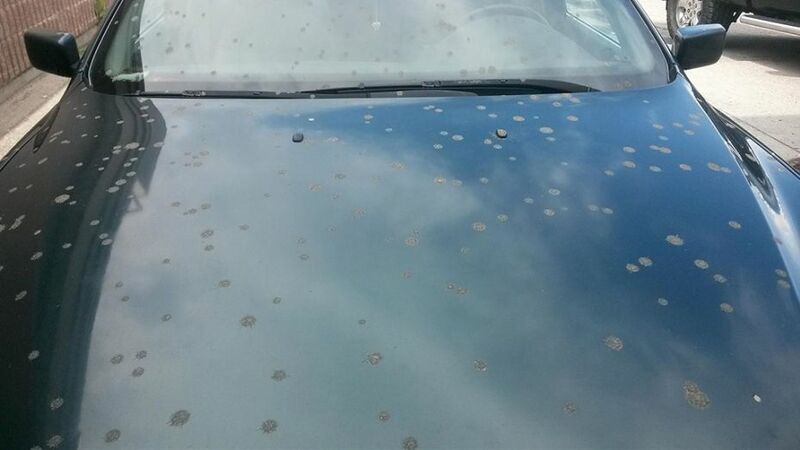 The statement was released just after Lumby-area Josh Patton contacted the department with a complaint that his car was “plastered” with what appeared to be human excrement as it was parked overnight in his driveway. He said it’s hard to imagine where else it might have come from in his rural neighbourhood and he, too, is looking for answers from TC.